In view of the present status in eastern Europe, and in deference to the unsettled affairs of the territory of the former Russian empire, which are now pressing for a definite solution, I, as the representative of the Government of the Ukrainian People’s Republic, conceive it to be my duty to submit for your consideration this memorandum setting forth the just claims of the Ukrainian people to political and economic independence. As a consequence of the facts herein explained, I respectfully ask the Government of the United States of America to extend recognition to the Ukrainian People’s Republic as a free state. The national aspirations of Ukraine embrace political liberation for all Ukrainians, consolidation of all free Ukrainians into one state, the erection of a constitutional democratic republic, and economic co-operation with neighboring and other states. 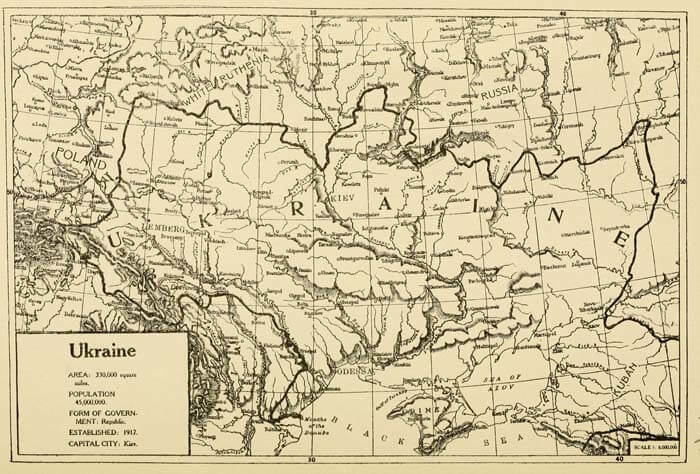 This entry was posted in History on June 2, 2015 by RomanInUkraine.